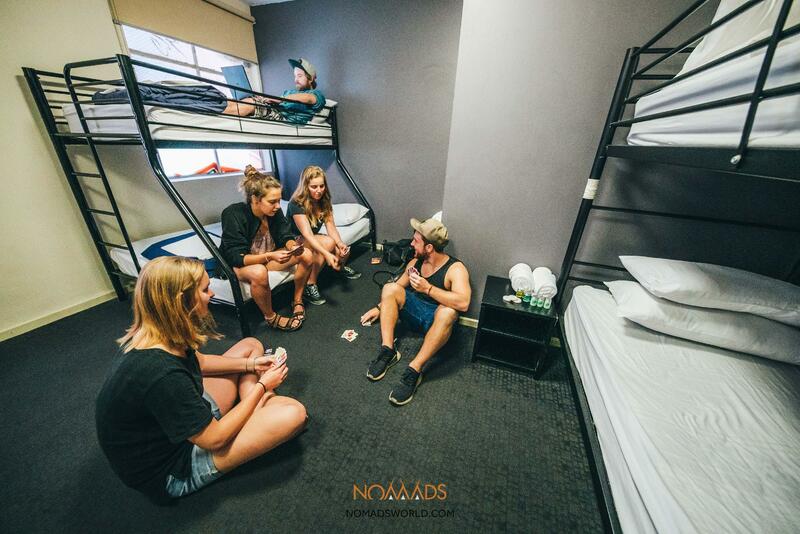 يقع Nomads Melbourne Backpackers في Melbourne CBD, ملبورن, هو خيار شائع بين المسافرين. يحظى هذا الفندق ذو 3 نجمات بمكان ممتاز يسمح بالوصول إلى المعالم السياحية الأكبر في المدينة، فهو يبعد مسافة 1. Km عن صخب المدينة. كما يمكن الوصول بسهولة إلى Viva La Calavera, The Hellenic Museum, Sweeney Luggage Centre. إن الخدمات التي يقدمها Nomads Melbourne Backpackers تضمن للنزلاء إقامة مريحة. تتضمن الميزات الرئيسية في هذا الفندق: مكتب الاستقبال على مدار الساعة, مرافق مخصصة لذوي الاحتياجات الخاصة, تسجيل وصول/خروج سريع, تخزين الأمتعة, واي فاي في المناطق العامة. استمتع بوسائل الراحة الراقية في الغرف أثناء إقامتك هنا. بعض الغرف تتضمن حمام إضافي, بياضات, غرف لغير المدخنين, مكيف هواء, تدفئة لمساعدتك على استعادة طاقتك بعد يوم طويل. يمكنك طلب اللائحة الكاملة للخدمات في الفندق ومن بينها بلياردو. 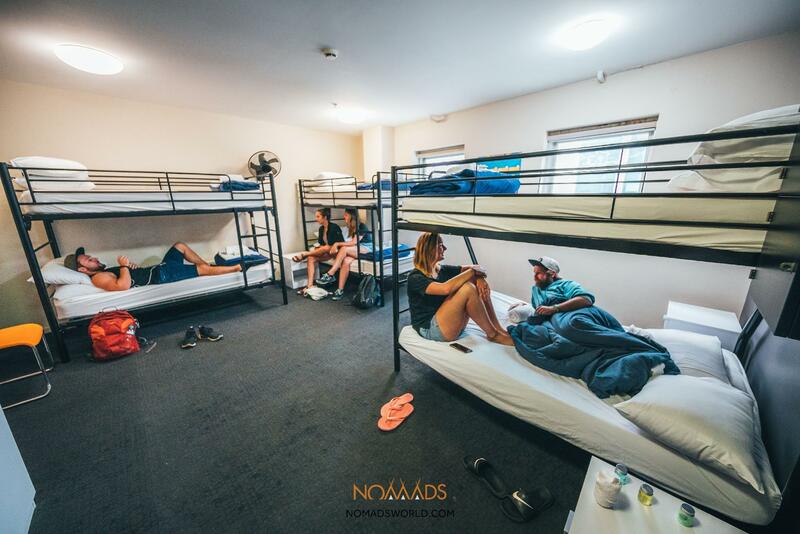 يحظى فندق Nomads Melbourne Backpackers بموقع ممتاز وخدمات يصعب منافستها. Pro Friendly staff Cons Poor ventilation in room. No air-conditioning in room, only one miserable fan in entire room. Fan is without a cover, hazardous. Buy your own shampoo, body soap.. Bring your own towel Toilets are no clean, bring your own bathroom slippers. Cannot get proper rest, noisy bar till 11pm. Cannot sleep, sweating and very uncomfortable on warm nights,. 4-bedder room so much smaller than claimed by Agoda. Actual is approx half of 30sqm. Stay up till 5am writing this review. G'day there Dan, Thank you for taking the time to leave us a review. It sounds like you were expecting a more Hotel like stay than what we provide. We apologise for the confusing, and are looking in to our listing on Agoda to ensure it doesn't happen again. We don't advertise air-conditioning and shampoo, conditioner and towels are available for a fee. 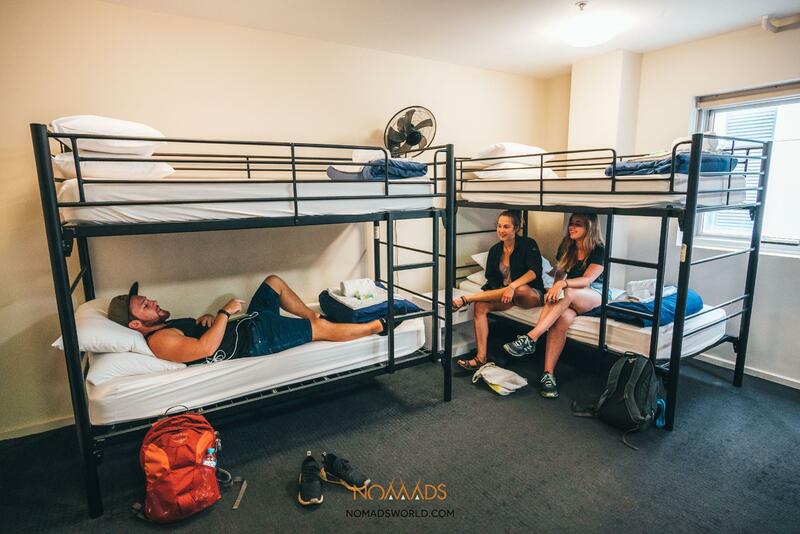 We're budget accommodation, for young travelers backpacking around Australia. We thank you for bringing this to attention and hope you enjoy the rest of your time in Australia. Best wishes, Georgia. The size of room for a 4-bedder is indicated on Agoda as 30sqm, but is much smaller as claimed. Like 50% smaller, a blatant misrepresentation. Room has no aircon, has poor ventilation and hot that makes you want to stay away the whole day. When the night is warm, it makes you sweat and very uncomfortable to even sleep. Staff placed a folded bedsheet on the bed on check-in day, so you are expected to make your own bed. The wash basin is tiny that make it difficult to even brush teeth. Toilets are not clean, sobring your bathrm slippers. No towel, neither shampoo nor shower cream in the bathroom. Staff are always friendly but helpless when Property is beaten down. Free breakfast serves pancake only. Pick up and wash own plate and cutlery from the kitchen. Get a mug and make coffee or tea on your own. This property lacks basic maintenance and definitely not newly refurbished as mentioned somewhere. The fan in Rm 206 has no cover which is a real hazard. Will definitely not stay again. G'day there, Thank you for your review. As per your last review, it seems that your expectations of our Hostel were misplaced. We're looking in to where you received the information to ensure that this kind of confusion doesn't happen again. 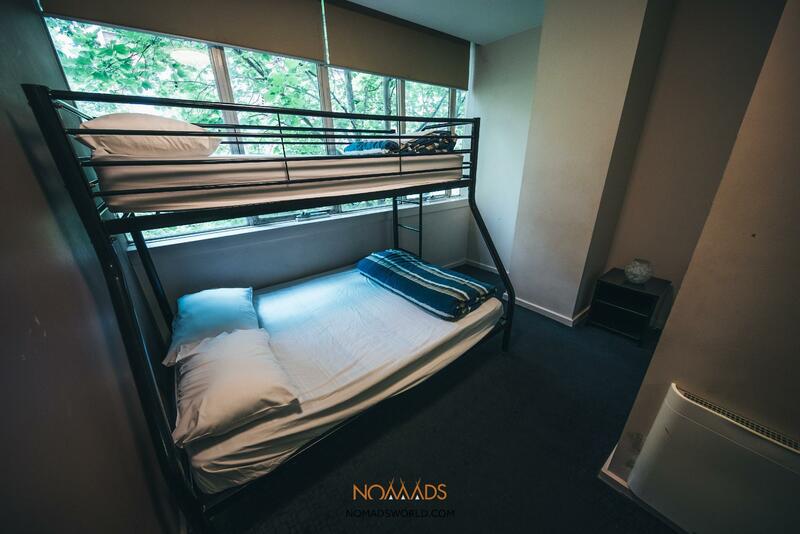 We are budget hostel accommodation, not a hotel. We hope you enjoy the rest of your travels in Australia, Georgia. G'day there Elizabeth, Thank you for taking the time to leave us a review. I'm a bit confused by your comment that 'fines for everything' as we only charge if you check out late? We do have a cozy kitchen, but it is cleaned 8 times a day, and deep cleaned twice a week. Unfortunately it can get messy quickly, when other guests decide not to clean up after themselves. We hope you enjoy the rest of your travels, Georgia. 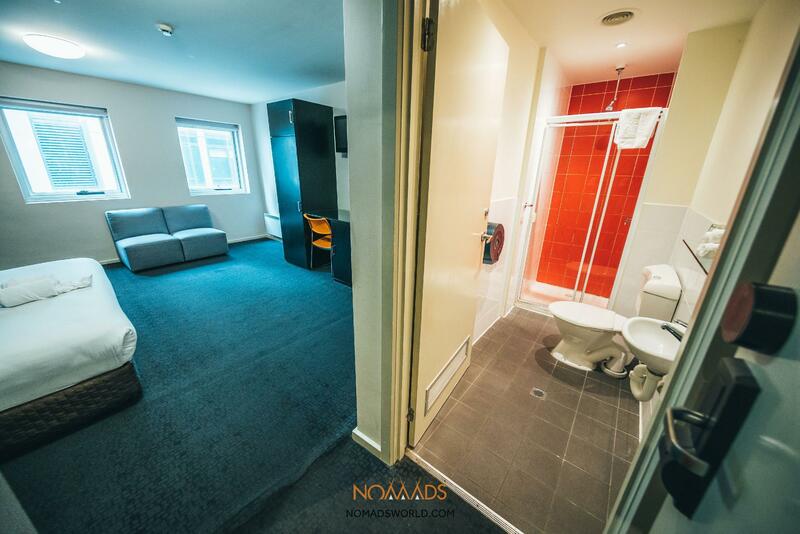 Common showers and toilets per floor and not inside the rooms, free pancakes every morning, location is across QVM and near Elizabeth street where most Asian restaurants are located. There was a 10 min power outage upon my arrival for check-in but it didn't happen again the whole 6 days I stayed there. They clean the rooms every lunchtime. They don't have any fans installed in the room I stayed but it was cold so I'm ok with it. Just not sure what they do during summertime. G'day there, Thank you so much for taking the time to leave us a review. We appreciate all feedback given. We had a planned outage that day, and I'm glad it didn't put a dampener on your time with us. In Summer we have fans that we put in the rooms so people can stay cool. We hope you come back and join us again in the future! Best wishes & safe travels, Georgia. Hostel dorm was clean and had all facilities needed i.e. shower, bunk etc. Although lifts stoped working on my stay, and had to climb 5 floors. Also, free wifi only available from 7am to 7pm, but otherwise had a nice one night stay. G'day there Kim! Thank you so much for your review. We appreciate all feedback given. I'm really sorry that our lift stop working during your stay. We obviously couldn't help that but we hope we offered to move you to a lower floor or help you with your bags. We hope you come back and join us again. Best wishes & safe travels, Georgia. G'day there! Thank you so much for leaving us a review. We appreciate all feedback given and have taken your comments regarding the Kitchen on board. We hope you come back and join us again so we can exceed your expectations! Best wishes & safe travels, Georgia. G'day there, Thank you so much for leaving us a review. We appreciate all feedback given. Was there a particular area that you found unclean? More information would help us tackle the areas you think we could do better in. We're very sorry the lift didn't work during your stay - we hope our staff helped you carry your bags during this time. Best wishes & safe travels, Georgia. Just ok if you want to stay for only one or two days. The room is not very spacious and the air is stuffy since there's no air conditioner. One thing really bothers me is that the room card doesn't always work so you have to keep asking the clerk for a new card. The kitchen is really dirty. Every user should have just asked to clean up after use rather than waiting for the staff which was only done at the end of the night to clean up mess. The kitchen is really dirty that I could not even touch any plate or our plan to cook some light foods such as rice or instant mee was totally cancelled. I only took hot water for my hot drinks every night and that after washing my cup few times. Trashes are everywhere. Stove is a total mess. How this hostel gets good review shocked me. Not the most convenient, location wise. Take any other hostel if you can. Even if you dont plan to cook, the staff is the worst i have ever come across to as a solo traveller as well as traveling in group. I totally do not recommend this place. It takes 3 night after repeated reminders before the issue of non working fan which we need before it was addressed on and changed. G'day there, Thank you for giving us feedback. We appreciate all comments given and have taken yours on board. As you said, it's the other Guests who leave the kitchen in such a state. Our Reception team clean it every two hours, and it gets deep cleaned three times a day. I'm very sad to hear that you found our staff to be unfriendly. We pride ourselves on having fun & informative staff as we understand they can make or break a stay. I'd love for you to come back in the future so we can exceed your expectations! Best wishes & safe travels, Georgia. I stayed just for 1 night. It is a really big hostal. If you see it that way, it is really clean. Unfortunately the kitchen is much to small, if you like to cook. But for me it was completely ok. The atmosphere was really good and the staff is nice. There was just one situation at the reception, I didn't like: I arrived in Melbourne really late by plain and I checked in, in the middle of the night in the hostel. So I was really tired. The reception told me I have to download "tipi" to check in and have to do it via these App. I had to give them ("tipi") a lot of private informations (scann the passport, download a private picture etc.). After that I wrote to "tipi" and they told me, that this kind of check-in is just optional. I also could show my passport at the reception. It took me much more time to check-in this way and I don't like to give all my private data everywhere. After that I deleted the "tipi" app. G'day there! Thank you for taking the time to leave us a review - I'm glad to hear you enjoyed your stay. I apologise that the staff member on duty didn't give you an option not to download Tipi. It's company policy to give guests an option - you don't need to unless you wish to enjoy the benefits. I'm sorry that had an negative affect on your stay and I hope you come back to join us again so we can exceed your expectations. Best wishes & safe travels, Georgia. G'day there Lauren, Thank you for taking the time to leave us a review. I'm really glad to hear you had a good time with us and I hope you join us again soon. Best wishes & safe travels, Georgia. I've spent 1 week in this hostel. Small kitchen, easy breakfast but nice common area and roof top. G'day there! Thank you so much for taking the time to leave us a review. We appreciate all feedback given! We hope to see you again in the future. Best wishes & safe travels, Georgia. nearby airport easy for to have rest when going for my next destination for my holiday. G'day there! Thank you so much for taking the time to leave us a review. We appreciate all feedback given and we hope to see you again soon! Best wishes & safe travels, Georgia. G'day there! Thank you for taking the time to leave us a review. We appreciate all feedback given! Best wishes & safe travels, Georgia. The free pancakes in the morning and the nice staff definitely make this hostel a good one to chose! Super fun hostel with great staff. They were very attentive, made sure everyone was having fun and helped with all needs. Would definitely stay again. G'day there! Thank you so much for a fantastic review. We really appreciate all feedback and we hope to welcome you back again soon. Best wishes & safe travels, Georgia. G'day there, Thank you very much for taking the time to leave us a review. We appreciate all feedback given and I've passed on your comments to Management. Best wishes & safe travels, Georgia. G'day there! Thank you for leaving us a review. We appreciate all feedback given and I'll definitely pass on your compliments to Sharan, Luke & Sander! We hope to see you again soon. Best wishes & safe travels, Georgia.